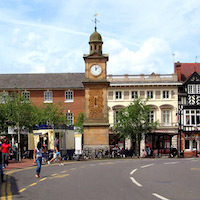 Rugby is the second largest market town on the boundary of Warwickshire County, Leicestershire and Northampton shire, in UK, near the River Avon. 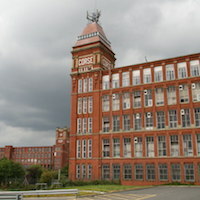 Rugby is midway between Northampton and Birmingham and is well linked to London, Northampton and Birmingham by trains and the National Express. The town has an interesting blend of sporting connotations and historic features along with striking venues. It is a smart choice for team building activities, offering a location with a character.Some of the fantastic venues here are the Hinckley Island Hotel and the Dunchurch Park as well as the Brownsover Hall or the Manor house, a Grade II listed one, set amidst 72 acres of greenery. Some other breathtaking venues in the glorious countryside are the Ullesthorpe Court Hotel, the Greyhound Coaching Inn, the Staverton Park, the Kenilworth Castle and Edwardian mansions nestled in woodlands, overlooking the great English countryside. We realize that team building is essential for corporate businesses and have designed a wide range of indoor and outdoor events and challenges, incorporating issues at the workplace, such as communication, motivation, management as well as delegation of tasks. 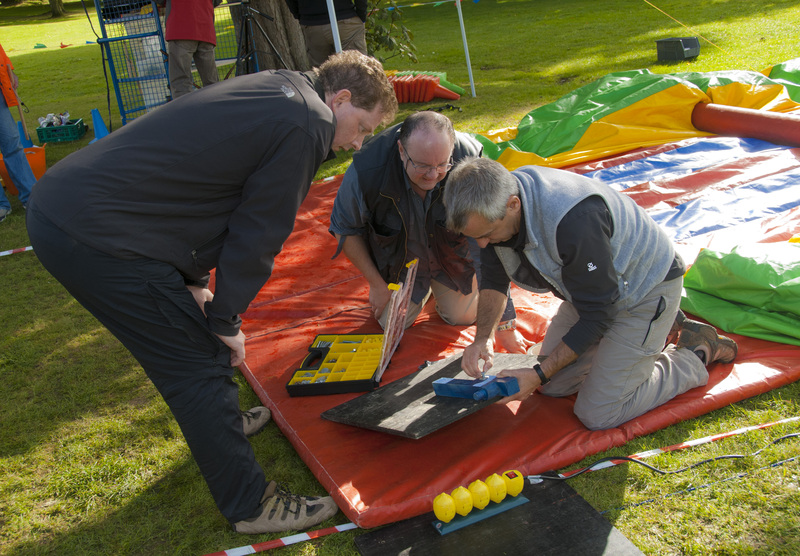 You need not let the fickle British weather spoil the day, as we also offer a range of indoor activities like Flatpack and Team Zone Challenge, which the complete team building spectrum. If you are looking for unique outdoor events, try Lego Land, Flatpack, Treasure Hunt and Bomb Disposal, which have been great hits with several of our esteemed clients, such as Pepsi, Lloyds Bank, Waitrose and KBR. 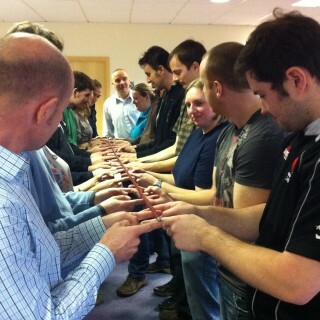 These activities can simultaneously educate, inspire as well as entertain your team. You can even improvise on games like the Treasure hunt to incorporate the St Andrews Church and the Rugby School.For more ideas give our sales team a call on 0845 680 6109 and discuss your requirements, fill out a quick enquiry or take a look at some of the other great events we run in Rugby! Our indoor activities are flexible and can be as short or long as you want them to be. Some of our popular and fun events are Chain Reaction, Cryptic Challenge and Chocolate Challenge providing indoor fun and supporting initiative, creativity and better collaboration. 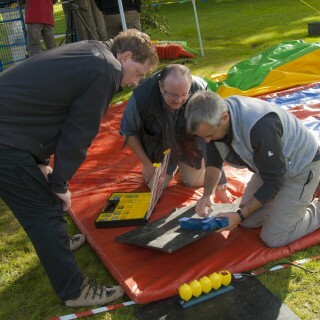 The venues in Rugby also provide the perfect backdrop for some of our top selling outdoor activities like Decision Wheel and Flatpack, which are both challenging and entertaining and various other games where tasks have to be completed under pressure. The town is most famous for being the birthplace of the Rugby football and is well known for the famed Rugby School, which is one of the oldest and most famous private schools in the country founded in the year 1567. Its main claim to fame is the Rugby game, first played by William Webb Ellis, a student of the school, who ignored the football rules and took the ball in his hands, running with it. Settlements were seen here from the Iron Age, and in the 13th century it became a small marketing town. When the Oxford Canal linked Oxford to Coventry, via Rugby, the town became a major junction with the development of the Railway. The famed writer Charles Dickens has satirized Rugby in his short story called Mugby Junction. The town had an Afro-Carribean as well as Indian community, becoming a multi cultural town with even a Hindu temple in it. Today, you can see a lot of Victorian architecture, with many pubs in the town centre. 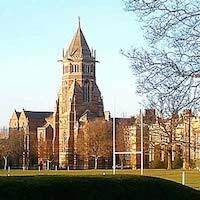 The Rugby School offers the grandeur of the 19th century, combined with the relaxing calmness of the Oxford Canal.